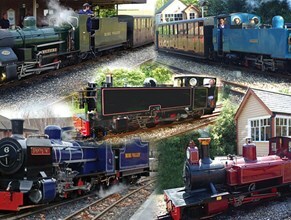 Bure Valley Railway loves welcoming school parties of all ages. A visit to us enables children to see, and ride behind, a working steam locomotive in the Norfolk countryside. This is ideal for stimulating their interest in a range of subjects including science, technology, engineering, history and geography. From young children who are first learning about railways and their role in transport history, to older children learning about the science of energy transfers, we can offer an interesting, enjoyable and enriching experience. Our friendly staff will be happy to answer their questions during the visit and we can arrange a visit to our workshops and locomotive sheds. Our Whistlestop Café can provide refreshments and further activities. Contact us to discuss your specific requirements and for prices.